As Peter describes, myObservatory is a powerful platform for experiencing and learning about geospatial data. Here is a typical working stream of how Peter uses mO. 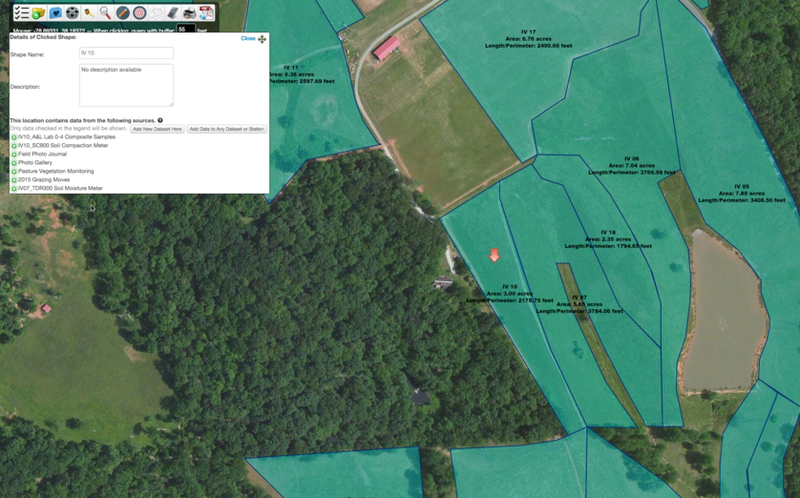 First, he navigates to a county GIS website and selects layers to download i.e. parcel data. This parcel data comes as a shapefile with metadata and attributes attached to each parcel polygon. Information in these parcels differs by county but most often includes tax ID number, assessment value, owner name and address, and ALWAYS land area (in acres). Peter uses this information to help him create land management plans. Once he downloads the layers from the county he uploads them into myObservatory using the Upload tool. Then he uses Manage myObservatory Data to organize the data layers in the map legend into folders. Other layers he commonly uses for land planning are four foot elevation maps. These maps, created using Lidar (http://lidar.cr.usgs.gov/), have a high level of accuracy. He uses the contour lines on the elevation map to draw out keylines. A keyline is a line segment that follows the contour line from an inflection point in a valley out to the side of a slope. The concept behind keyline plowing is based on the cohesion and adhesion properties of water. By subsurface plowing up and downhill parallel to a keyline the water moves from the valleys to the ridges. This is especially useful in areas that have low precipitation and/or soil types that do not absorb water well. The hot dry summers and red clay of Virginia are a perfect match for keyline plowing. Once Peter draws the keyline in myObservatory he then creates a geospatial pdf file to export. This file can be read by a third party app that uses it as a georeferenced base map. 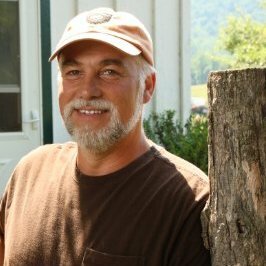 With very few steps, Peter is able to take a drawing from myObservatory out into the field and walk or plow the exact keyline that he made. Another feature that Peter uses frequently is the Hand Drawn Shapes tool. He uses this tool to draw line and polygon layers right into myObservatory. This is useful for planning in many ways. It helps provide land area for rotational grazing matrices. It even helps quickly determine how much material to order for fencing projects. Instead of having to go out into the pasture to walk the entire length of the fence Peter is able to use the Measuring tool to gauge the length of fence to be created or repaired. 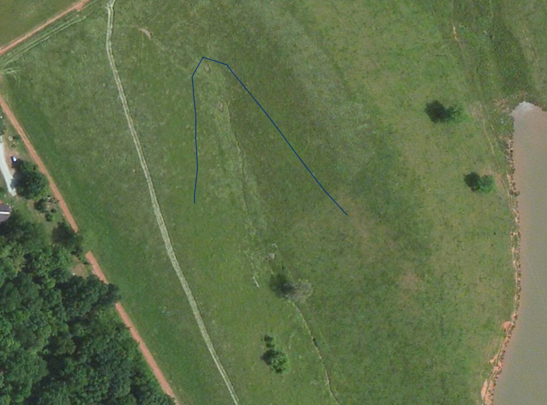 The grazing polygons are also a useful place to store data about that specific place i.e. soil data. The Field Photo Journal function allows Peter to track herd movements, grazing conditions and browse observations and store this data with the field polygon. 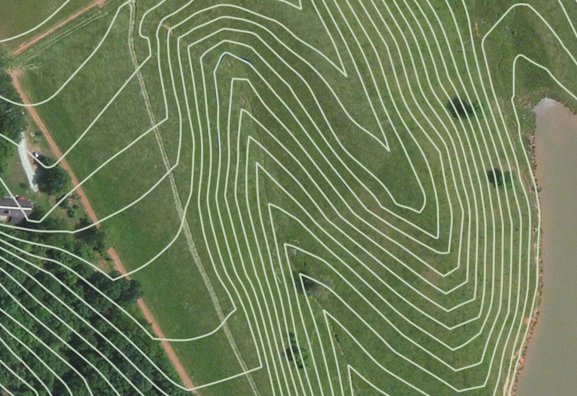 The power of being able to draw in myObservatory exactly where cattle will be pastured is a compelling reason for any land manager to use myObservatory. When I asked Peter what his most important message was for readers he responded as an educator might. “I want people to be able to explore public data, explore their place.” We agree that by providing the public with a means to examine their own data that the possibilities are endless.